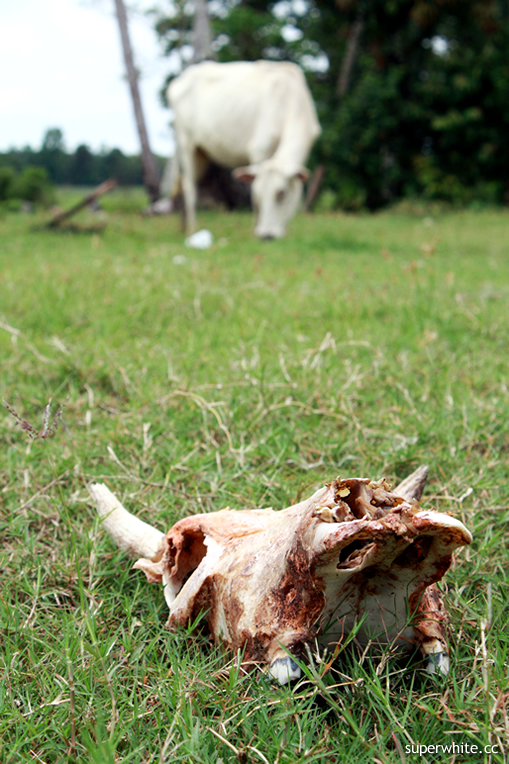 After come back from Cameron Highlands and back to my hometown Kota Bharu – home sweet home. But cannot online here, cannot surf net, cannot update twitter, can only chat with sms, entertain with my ipod shuffle and psp, eat nasi kukus, eat keropok lekor, eat thai food, then eat sleep eat sleep eat eat sleep. What else to do? Take photo lo! From here I get a chance to introduce some places at my hometown, remember Kota Bharu from Kelantan not Kuantan, a lot of people been misunderstood that I always going back to Kuantan. 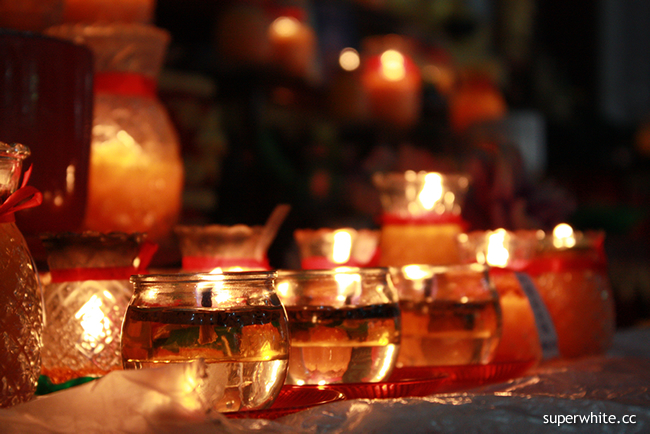 I visit the two of the famous temple, first was was Wat Machimarran Varran – iconic Thai Buddhism temples. A sitting buddha temple with some interesting Buddhist art inside. 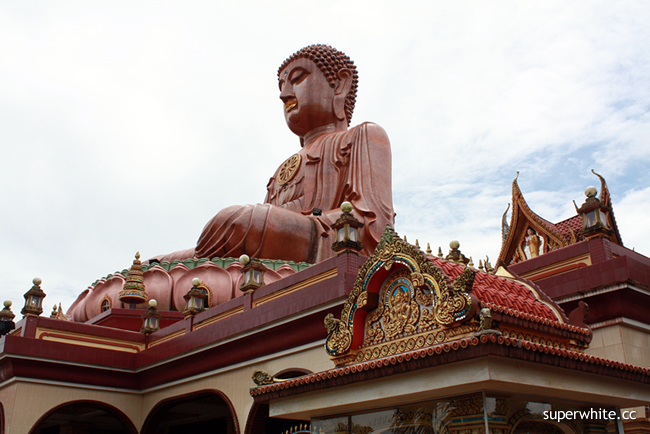 Although Kota Bharu is mainly Islamic, but there is a Buddhist minority which takes it’s influence from the Thai border just north of the city. 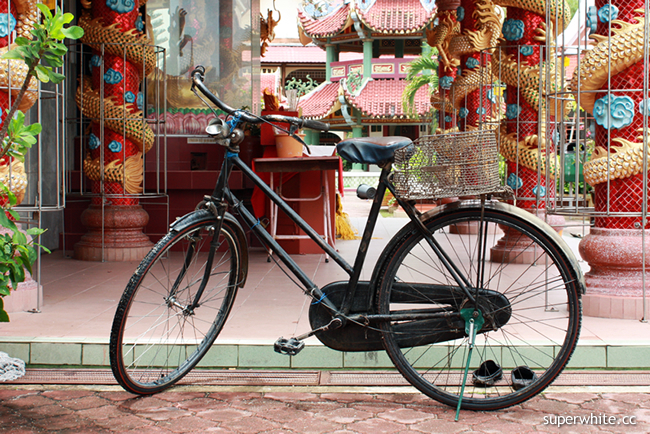 An old bicycle parking at the entrance of Wat Machimarran, is quite a good photography place. You can made donations at each of the temples (this is how they maintain their upkeep). I have made candle-donation. Second temple I visit was Wat Pothivihan, also known as Temple of the Reclining Buddha, is one of the most-visited temples in Kota Bharu. 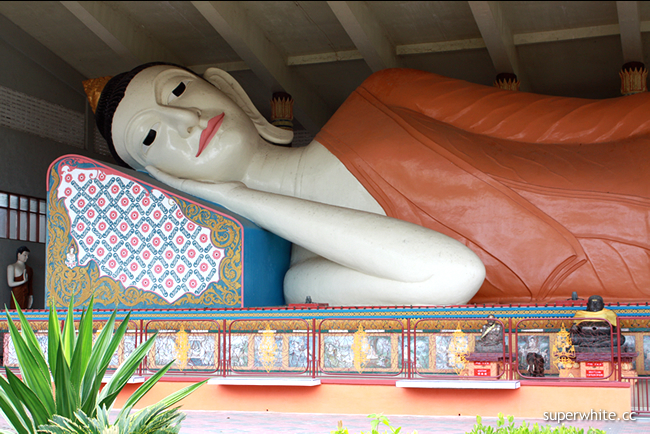 With the 40 meters long reclining Buddha statue, it is the longest in Southeast Asia. Can go underneath the Reclining Buddha to see more Buddha status. 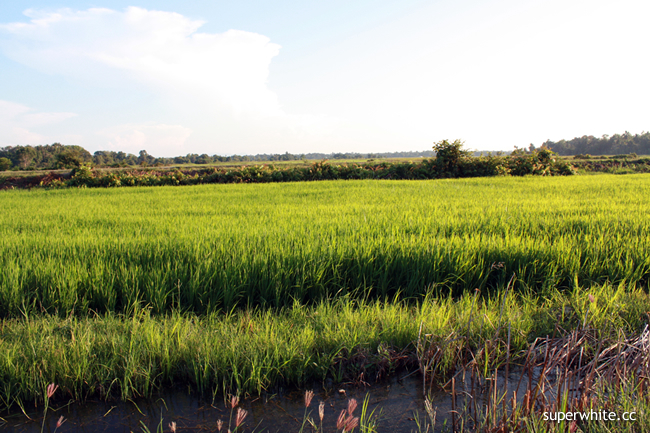 This is my padi fields, big enough? 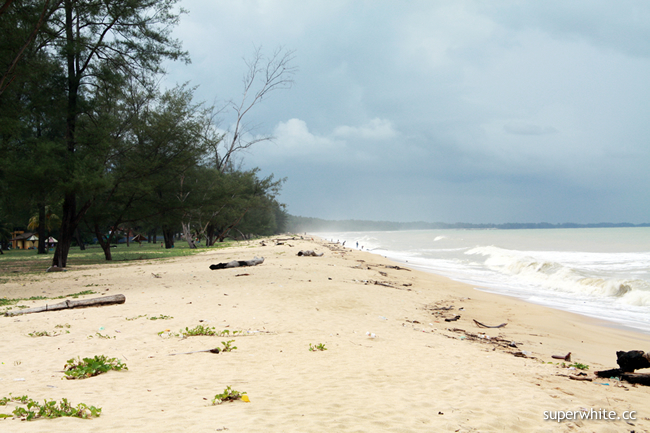 Oklah, more than 10k hectare, just that I not inside the picture only. This is the first time I visit Tok Bali, located about 48 kilometres from Kota Bharu, heard that the beach here is quite amazing but disappointed. 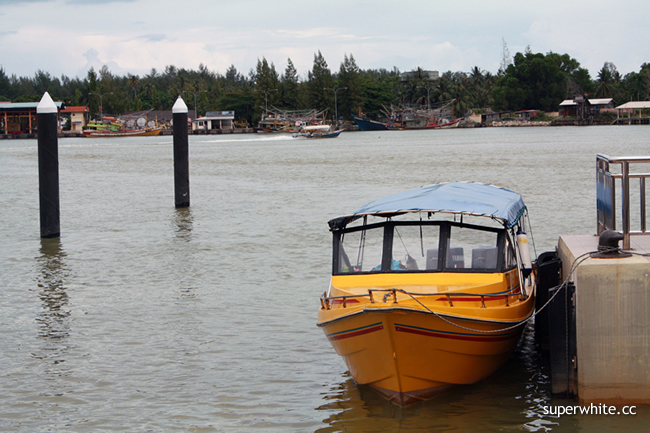 The jetty at Tok Bali, presents tourists with an alternative travel route to Perhentian Island in boats and ferries. mr.white, i suggest u to continue eat sleep eat sleep n c how’s d result.